Denny hand carves each nut for each individual guitar so the strings are set lower with custom spacing. Lower string heights make it easier to press down to form chords and it also increases finger speed. Custom spacing allows you to move faster with less buzzes, mutes, and rattles because you’re no longer bumping adjacent strings. 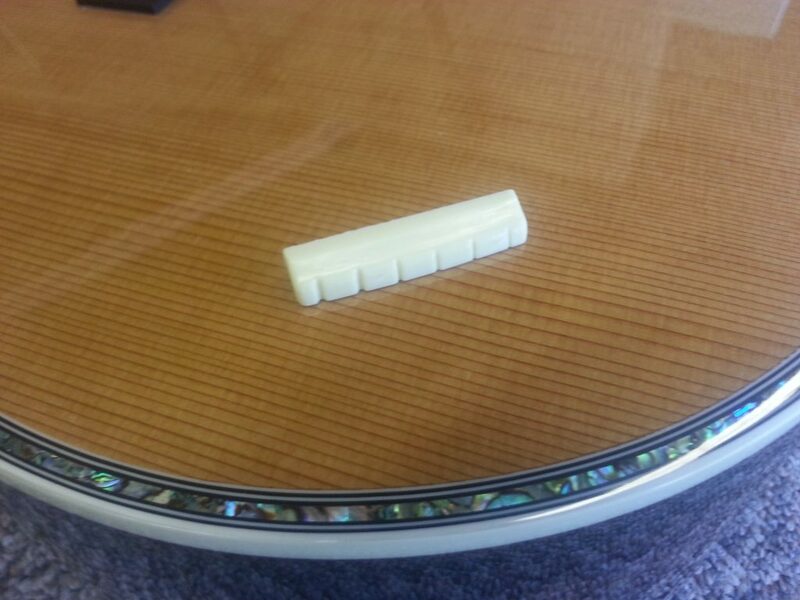 Custom string spacing makes it easier for all hands sizes big and small. Lifetime warranty. Break a nut and we\\\’ll replace it free of charge for life.